Fond of a bevvy and a fag, the habits of Private Wojtek weren’t too different from any other soldier of the 22nd Polish Artillery Supply Company. 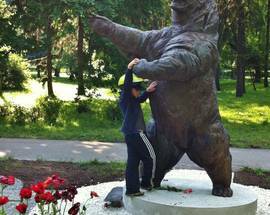 However, while Wojtek’s comrades were exiled soldiers from Poland, Wojtek himself was a quite conspicuous six-foot tall brown bear from Iran. 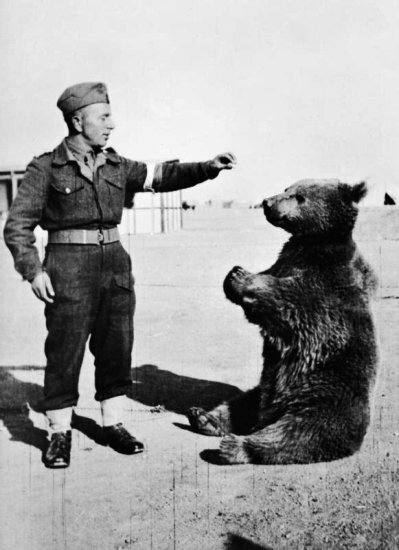 Joining the unit in 1943 as Polish troops advanced through the Middle East, accounts differ about how the soldiers exactly came upon him, though it’s accepted that he was adopted as a homeless cub and weaned on condensed milk poured from a vodka bottle. Affectionately christened 'Wojtek,' he slept and worked alongside the men, helping in the transport of live shells and boxes of ammunition to artillery positions. Fed on a diet of marmalade and honey it wasn’t long before Wojtek started assuming human traits, including the love of a smoke and a beer – his rewards for a good day’s work, like the rest of the soldiers. By all accounts he was a social animal; during breaks in combat he would wrestle with his Polish mates, often clamping their heads in his jaws. A voracious tea drinker, sometimes taking his brew with a nip of vodka, apparently he also wasn’t averse to clandestine raids on the field canteen. 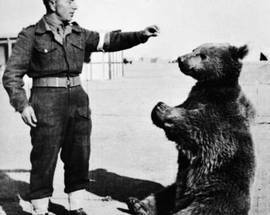 More than just a mascot, Wojtek became a reliable member of his unit, mastering the controls of the shower hut, and once allegedly capturing an Arab spy hiding in the camp. With his unit reassigned to serve in the Italian campaign the soldiers faced the prospect of losing a loyal and valued comrade. The only loophole was to enlist him, and so it was that Wojtek was entered into the Polish army, complete with name, number, identity and ration papers. His unit was deployed to Monte Cassino, and handed the unenviable task of resupplying Allied troops pinned down by German gunfire. It was in these hellish conditions Wojtek earned his spurs, never once dropping a shell. 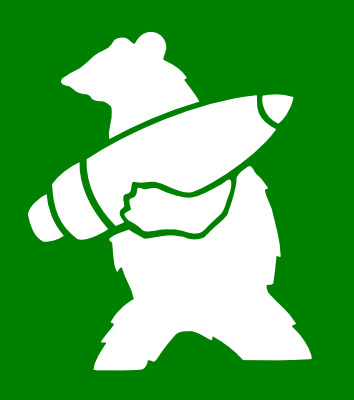 His bravery was recognised by high command who changed the insignia of the 22nd Company to depict a bear carrying an artillery shell. 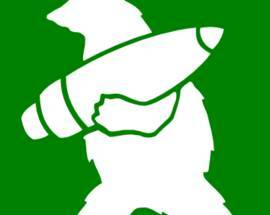 Towards the end of the war the company was redeployed to Berwickshire in Scotland, and it didn’t take long for Wojtek’s legend to spread. Local farmhand Jock Pringle recalls his run-ins with the soldier bear: ‘He had two bottles of beer a day and loved a fag, though it had to be lit for him. If it wasn’t lit he’d spit it back out on his paws. He’d have one puff and then swallow it.’ Finally, in 1947, his unit was demobilised, and Wojtek was placed in the care of Edinburgh Zoo where he became a cult attraction. His former comrades would occasionally visit him, flinging cigarettes his way, conversing in Polish to him, and even jumping into his enclosure to grapple with their old friend. 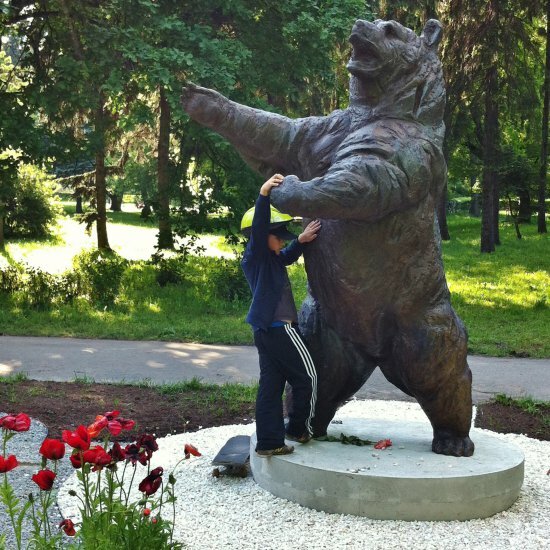 Although the subject of much attention and several memorials following his death in 1963, Wojtek’s memory had been in danger of fading until its revival via a 2011 film on BBC2 Scotland entitled 'Wojtek - The Bear Who Went to War' (wojtekfilm.com) and several books published in the last few years. 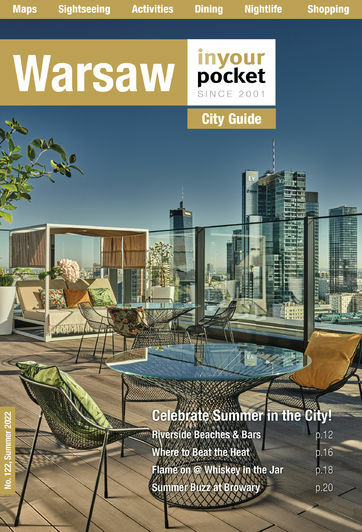 A monument to him went up in Kraków’s Jordan Park in 2014, and further memorials are in the works in both Edinburgh and Sopot (on Monte Cassino street of course). One of the more inspiring and light-hearted tales of WWII, it looks as though Wojtek's charming legacy is not just secure but going to become much more widely known. To find out more about the commemorative campaigns visit the Wojtek Memorial Trust regarding the Edinbugh tribute and the Mis Wojtek Sopot website for the Sopot campaign.